Traffic tickets come with many potential costs other than the fine. You could have the cost of higher car insurance premiums for up t o five years. You could also have costs associated with losing your driver’s license if you accumulate too many traffic violations in too short a period of time. 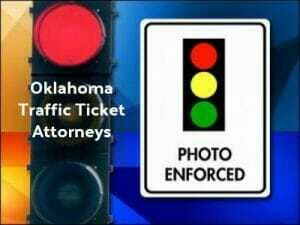 For these reasons, you may want to consider fighting your traffic ticket in with these top Oklahoma traffic ticket attorneys on your side. If you do decide to fight your traffic ticket in Oklahoma, you’ll want to take action right away. Failure to pay or respond to a traffic ticket will cause you to lose your license until it is resolved, and may even result in a warrant for your arrest. 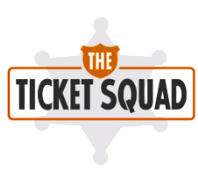 Once you have responded to the ticket and received a hearing date, you will want to contact traffic ticket attorneys to represent you in court. Not only will these traffic ticket attorneys better know the legality of your traffic violation, they will also be able to get you the best possible outcome at your court hearing. If you have already lost your driver’s license due to traffic tickets or DUI, many of these attorneys also assist in driver’s license restoration as well. To find expert Oklahoma traffic ticket and DUI attorneys click here. Like most states, Oklahoma keeps track of your driving privileges using a point system. For each traffic ticket you receive points are added onto your license. The number of points received depends on the offense, but is usually between one and five per violation. If you receive 10 points in 5 years, you will face suspension of your driver’s license. For this reason, you may want to fight your traffic ticket. To find out how many points you currently have, contact the Oklahoma DMV. If you accumulate 10 or more points within five years, your license will be suspended. How Many Points for Each Infraction?